Having been facilitating workshops for about 20 years, I recently reflected on what is facilitation when I was asked to run a masterclass for a facilitation academy in Helsinki. 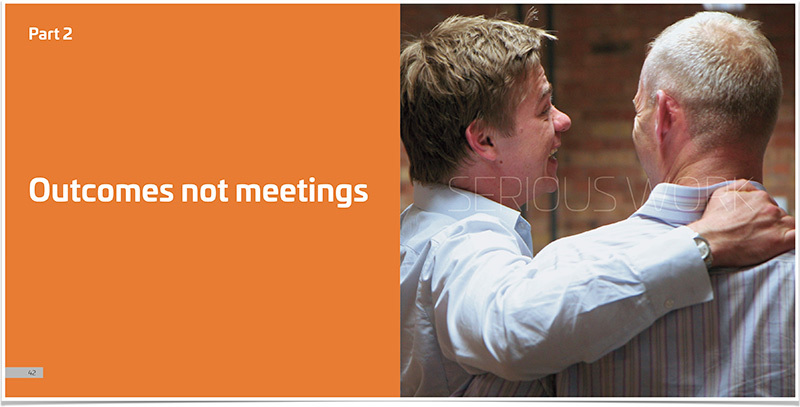 People don’t want meetings or facilitators. They want outcomes. 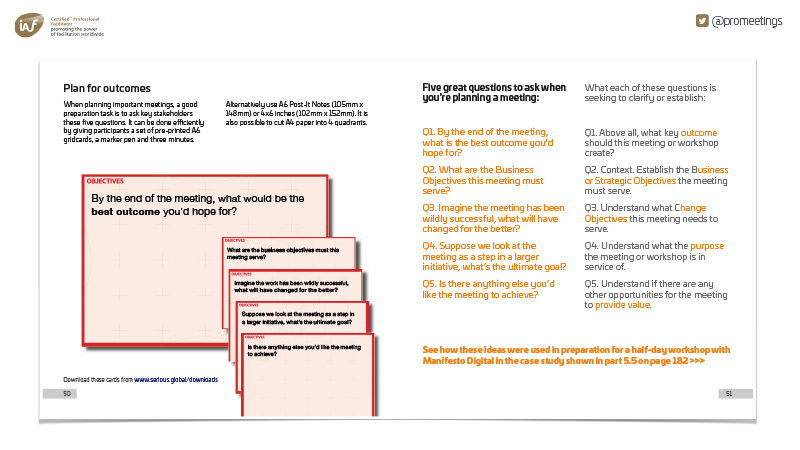 I approach every assignment with a focus on outcomes, part 2 of the book I wrote about facilitation is all about outcomes. How to understand what they are, how to articulate them and how to use outcomes to plan facilitation process is a core skill, maybe THE core skill. - The contracting / preparation phase is key. - Understanding what is really needed is at the heart of this activity. Management guru, Peter Drucker, famously said "Culture Eats Strategy for Breakfast". For facilitators, we fail to take time to understand the cultural, emotional and political currents beneath the surface at our potential cost. Lesson 2 means really one thing, in this case said in three ways! - Take time to understand these things! In my experience it usually takes longer to prepare for a workshop than facilitate it. This is not always the case, but certainly high stakes, high risk strategic workshops are very likely to require more preparation time than delivery time. Workshops are expensive. The time people take out of a business costs a lot, and the impact of a productive workshop (or a highly unproductive one) can be huge. - Good facilitators have many tools at their disposal (and are process / tool neutral. As a facilitator who sometimes uses LEGO® SERIOUS PLAY® I like it when clients enquire if I favour any particular tool. My answer is always no, I'm outcome driven, and tool neutral). When I facilitate I assume that I'm responsible for the outcome. With this mindset I assume it is my job to be a 'participatory leader' and have the participants to interact with the subject-at-hand and each other in the best way possible that achieves the outcome. My job is not about content (otherwise I'd be a consultant, not a facilitator) it is about outcome driven process. - Understand the tremendous power of orchestrating or choreographing participation. This is a subtle power that might at times be invisible to participants, as they are absorbed by the content (and each other). In 2006 I facilitated a two day workshop for one hundred head teachers. My client team at the Governments 'Department for Education' included a wonderful man called David Jackson. I carefully planned a workshop process and during the workshop kept the participants on track with that process. At the end of the workshop David offered me the feedback that I should 'facilitate the people not the process'. 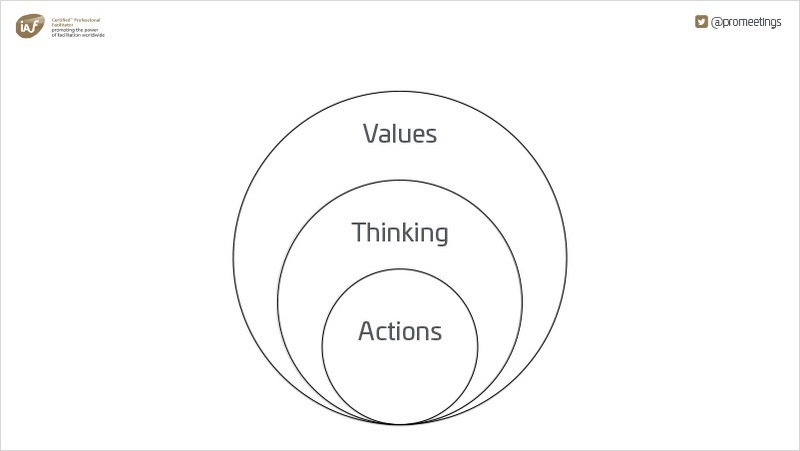 This lesson has become a core idea for me… and whilst I plan carefully (as in 3 above!) I now abandon the plan if it is not meeting the emergent needs of a group. - Develop and grow your awareness about what a group needs as a process unfolds and if something important emerges, be ready to drop, abandon or modify what you had planned. 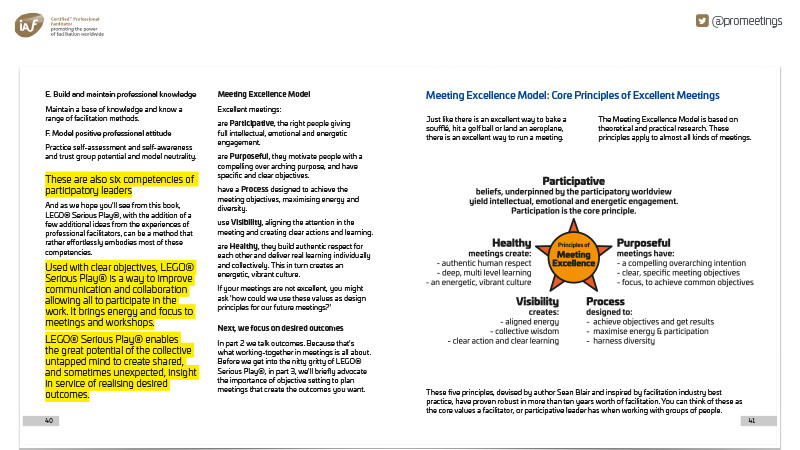 The most important 'guiding principle' I use as I design and facilitate meetings is the principle of participation. It is the core idea or value that good facilitators hold. - Facilitators must welcome participation no matter what its guise. If this shows up as joy or anger, a smile or a tear it is all equally welcome. To do otherwise is to not invite participation. Speak slowly and clearly - especially in multi-lingual events where English is not everyone's first language. Big presence / small presence - know when to be large… and when to be almost invisible. Create relatedness - even before the workshop begins, as people arrive, creating a sense of relatedness can be the difference that makes the difference. Give responsibility / autonomy - empowering participants to take responsibility for what happens in the workshop will have dividends after the workshop.